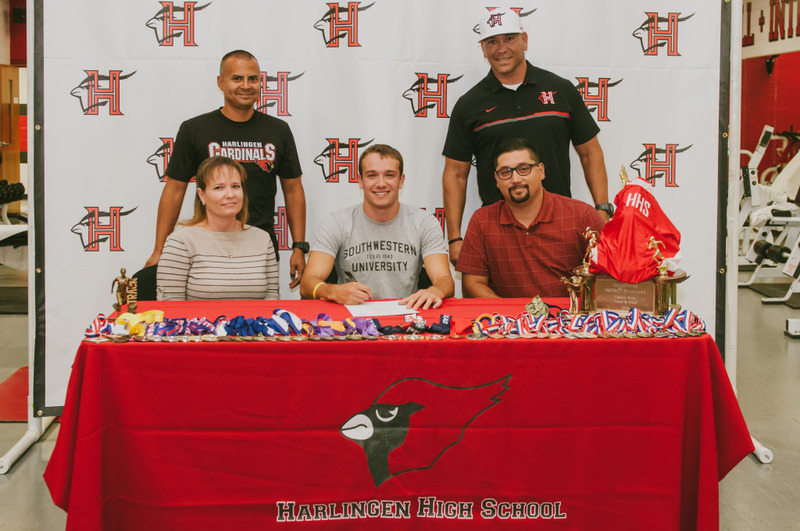 Cardinal athlete Devin Rosas signed his letter of intent on May 9, 2017, to run track for Southwestern University. Students, coaches, community members, college representatives, and administrators joined in the excitement during the official signing ceremony held in the Cardinal Athletic Field House. Southwestern University is a Division III institution in Georgetown, Texas.